Editorial Board member Scott Tanner has just published an exciting paper in Science, showing a brilliant proof of principle for the novel technology of mass cytometry and providing a uniquely detailed view of cell differentiation in the human hematopoietic system. This tackles a problem central to biomedical science: identifying the lineages and phenotypes of specialised cells and tracking their molecular differentiation during differentiation. Access the paper using the link below. 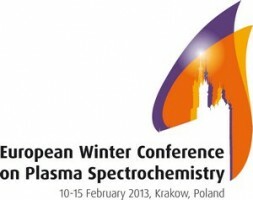 The next European Winter Conference on Plasma Spectrochemistry will be held 10-15 February 2013 in Krakow, Poland. Chair of the meeting will be JAAS Editorial Board member Joanna Szpunar from the Laboratory of Bio-Inorganic and Environmental Analytical Chemistry at CNRS, Pau, France. She will be supported by Co-Chair Paweł Kościelniak from the Faculty of Chemistry at the Jagiellonian University, Krakow. Krakow is known as one of the oldest and most beautiful cities in Central Europe, and is listed as a UNESCO World Heritage Site. The EWCPS is being organised with the support of the Polish Academy of Sciences, the Polish Society of Chemistry, the President of the City of Krakow and the Rector of the Jagiellonian University. To find out more, visit www.chemia.uj.edu.pl/ewcps and keep an eye on JAAS News – we’ll give you more updates as we have them. 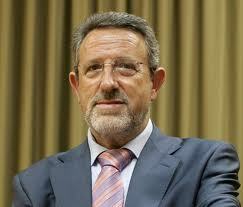 The 2011 European Plasma Award was presented to both Professor Alfredo Sanz-Medel (Univeristy of Oviedo, Spain) and Prof. Frank Vanhaecke (Ghent University, Belgium) for their significant contributions to plasma spectrochemistry. 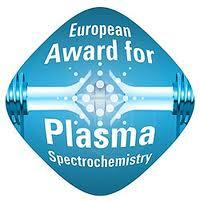 The European Plasma Award is sponsored by Agilent Technologies. Prof. Sanz Medel presented an award lecture entitled ” Mass Spectrometry for isotopes, elements, molecules, and nanoparticles“, Prof. Vanhaecke then followed with a lecture entitled “Having fun at the scientific playground: Isotope ratio applications using (multi-collector) ICP-mass spectrometry“. It goes without saying that both lecturers were excellent and well received, but perhaps the most interesting aspect of the award ceremony was the evident esteem in which the award winners held one another and the philosophy of research that each touched upon (and that is largely held in common between them). These are certainly two excellent teachers, researchers, and colleagues–and the award is richly deserved in each case! 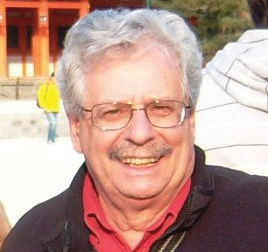 Professor Joe Caruso of the University of Cincinnati was recently named a Fellow of the Society of Applied Spectroscopy in recognition of his significant contributions to the field of atomic spectroscopy and his tireless efforts on behalf of the SAS. 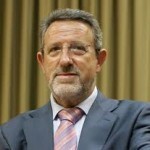 Prof. Caruso served as chairman of the editorial board of JAAS, and is currently the chairman of the editorial board of the sister-publication Metallomics. You are currently browsing the archives for the Board News category.